Every year I make it my New Years Resolution to eat breakfast every single day – but, every year I fail miserably and just end up feeling pretty bad about myself and my lack of willpower. So this year, instead of coming up with resolutions I know I won’t keep, I decided to challenge myself to come up with fun breakfast ideas and to just enjoy food more. My breakfast of choice used to be cereal and wouldn’t just eat it for breakfast, I’d have it as an after school snack or for a late night feast – now, I can’t eat most cereals as a lot of popular brands aren’t gluten free, and haven’t found many gluten free cereals which I really like or that don’t contain copious amount of sugar and additives. This morning I had a huge craving for Coco Pops, so I decided to try to make my own homemade version and I’m very pleased with how they turned out. These homemade Cocoa Pops are super easy to make – you only need four very basic ingredients and they can whipped up in less than 20 minutes. 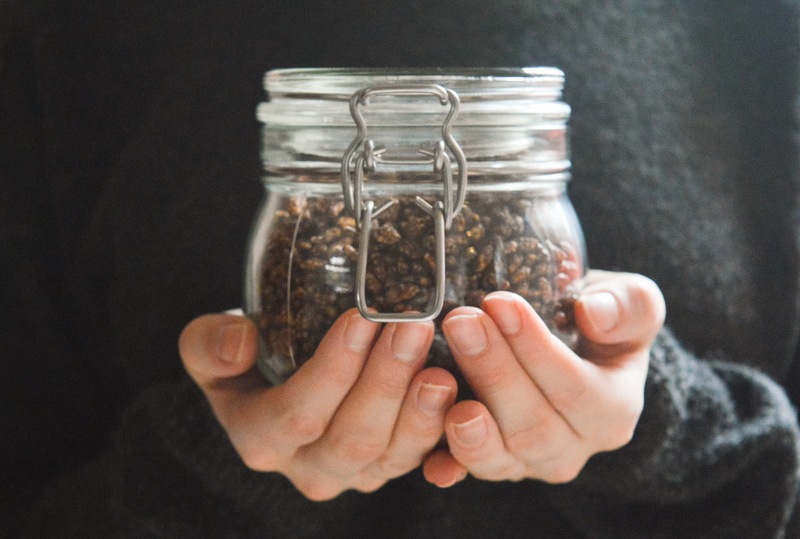 The recipe uses a natural alternative to refined sugar and is both dairy and gluten free, but I promise they are delicious and taste just as good, if not better than the shop variety! 1. Preheat the oven to 160 degrees/Gas Mark 3 and line two large baking trays with greaseproof paper. 2. Place the maple syrup, oil and cocoa powder into a sauce pan and place it over a low heat. 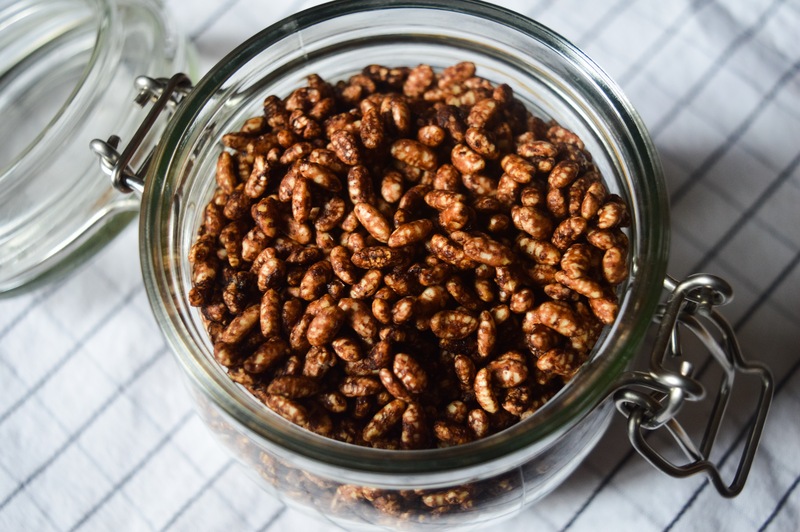 Stir the ingredients with a wooden spoon until no lumps remain, then fold through the puffed rice until it is fully coated in the cocoa mixture. 3. Spread the mixture into a thin layer across the two baking trays. 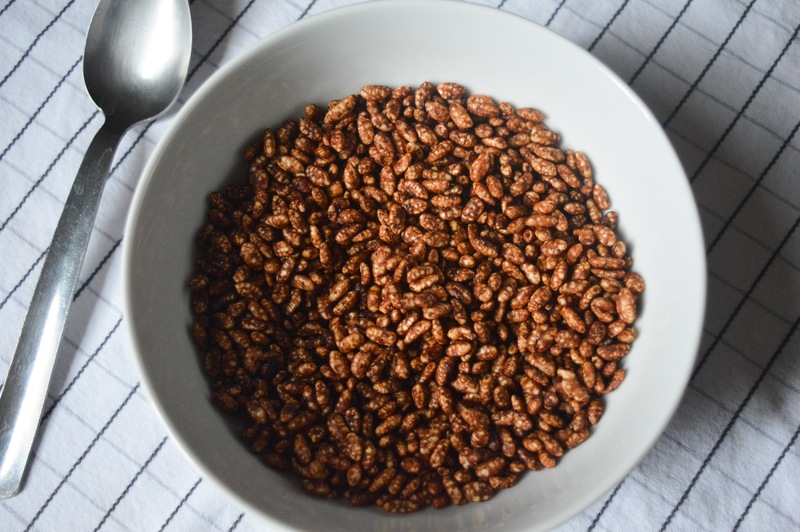 Bake for 6 – 8 minutes, until the puffed rice becomes crisp – make sure to give the cereal a stir half way through the bake time. 4. Leave the cereal to cool on the baking trays for a few minutes, then it’s ready to enjoy!